Yumna Baloch is a lawyer at the Foundation for Fundamental Rights, a Bertha Justice Initiative partner organization in Pakistan. 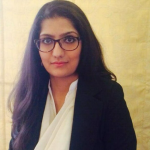 Yumna works on the issue of enforced disappearances and is compiling a report on the epidemic of missing persons in Pakistan since 2001 and the impact of government regulations that govern Guantanamo-style internment centers in various parts of Pakistan. In this blog, she provides an insight into the plight of those who have been forcibly taken and put in internment centers without any due process. Osama Waheed Khan was first abducted by state authorities in 2008. At nighttime on 14th December 2008, he was driving from Karachi to Sukkur when he was intercepted and taken by unknown persons, presumed to belong to state agencies. More than a month passed before Osama’s family learned that Osama was in Adyala jail and that he was being tried before the Anti-Terrorism Court in Rawalpindi, on charges of possessing explosives and attempted assassination. Although he was acquitted of all charges, Osama was illegally kept in custody for an additional three months before he was released on court order in response to a petition filed by his family. However, Osama’s ordeal was far from over. On 1st July 2011, Osama and his brother Ajmal travelled from Islamabad to Karachi. Upon arrival at Karachi airport, they were illegally abducted and taken into custody by state authorities. Osama’s wife, Ameena, was able to file a complaint with the police only after a prolonged struggle; the police are well aware of the widespread practice by the military and intelligence agencies of abducting suspects and holding them for months or years without charge or trial, and they are reluctant to register formal complaints in such cases. Ameena subsequently filed a petition for the release of her husband and his brother in the Karachi High Court. Despite a number of orders by the High Court, the whereabouts of Ajmal and Osama remained unknown for 18 months. Finally, following a sternly worded Court order, Ajmal was released from his illegal detention. The investigating officer in the case informed the Court that Osama’s name had been found on a list of internees at an Internment Centre in Khyber Pakhtunkhwa, near the border with Afghanistan, further stating that the list in question could not be produced in court and had to be kept secret due to its sensitive nature. It thus became clear that Osama’s illegal detention by state authorities, which had started in 2008, was being retrospectively justified under the Actions (in Aid of Civil Power) Regulations, 2011; a draconian and arguably unconstitutional set of Regulations which allows the functioning of Guantanamo-style internment centers in various parts of Pakistan. The issue of enforced disappearances in Pakistan has been exacerbated due to the terrorist insurgency over the past decade. Many “Islamists” and “extremists” perceived by the military and intelligence agencies to be a threat to the Pakistani state are abducted, taken from their homes or from public places, frequently in broad daylight. They are often kept for years without being charged with any crime and without any recourse to law, in complete violation of constitutional due process guarantees. Their families generally have no knowledge of their whereabouts. Many die in custody. There is no exact figure as to the number of these “missing persons”. State organizations, such as the Commission of Inquiry on Enforced Disappearances, estimate the number to be just over one thousand. Human rights organizations have claimed that the figure is closer to five or six thousand. Since the Regulations came into effect, in 2011, state authorities have been using them as cover to retrospectively justify the illegal abduction and internment of detained persons. Hundreds of petitions seeking the release of detainees are pending in courts across the country. 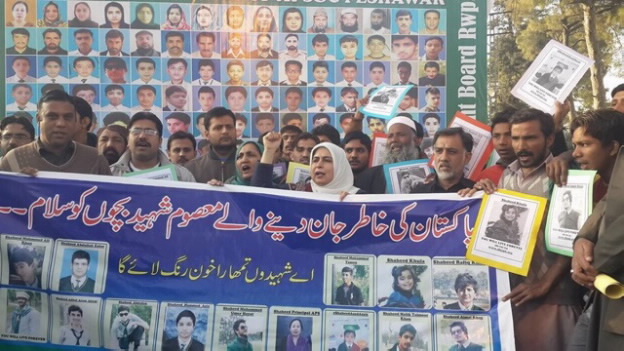 The Foundation for Fundamental Rights routinely files such petitions on behalf of relatives of missing persons. However, although they are sometimes successful in tracing the whereabouts of missing persons or securing their release, these petitions are a narrow remedy in that each of them addresses only the grievance of the specific person and family in question. In the case of Osama Waheed Khan, as well as five other factually similar cases, FFR has taken a broader and more strategic approach. It has filed constitutional petitions seeking a declaration that the 2011 Regulations are unconstitutional. These petitions are therefore not only concerned with the six specific missing persons in question: they challenge the entire legislative and state machinery regulating the widespread practice by the Pakistani state of abduction and detention. The petitions challenge the constitutionality of the 2011 Regulations on a number of grounds. The preliminary argument is that they exceed the powers that are accorded to the President. The Regulations were not enacted by Parliament, but promulgated by the President under an article of the Constitution which confers on him the power to make regulations for “the peace and good governance” of the Federally Administered Tribal Areas, a semi-autonomous tribal region in northwestern Pakistan. However, the 2011 Regulations allow for persons to be taken into custody in any part of Pakistan, and this is the prevailing practice. Because few if any detainees bear a strong link to the security situation in the Federally Administered Tribal Areas, the petition argues that the Regulations go beyond the constitutional provision under which they were made. Most crucially, the petition argues that the 2011 Regulations are in clear contravention of the fundamental rights guaranteed by the Pakistani Constitution. They contravene due process guarantees such as a detainee’s right to be informed about the charges against him or her and the right to be heard in a court of law. They further allow for indefinite preventive detention, which is prohibited by the Constitution, and do not ensure the provision of any of the safeguards mandated by the Constitution in situations of preventive detention. The 2011 Regulations further contravene a constitutional article prohibiting retrospective punishment. The Regulations, enacted in 2011, purport to have effect from 2008 onwards. The Regulations have also been challenged on the basis that they violate constitutional and administrative law principles of the separation of powers, the principle of proportionality, and the prohibition against excessive delegation. These petitions are part of a long-term strategy pursued by FFR to uphold constitutional rights for all in the face of increased pressure by the authorities in the name of the national security and war on terror. The petitions are currently pending before the Islamabad High Court.